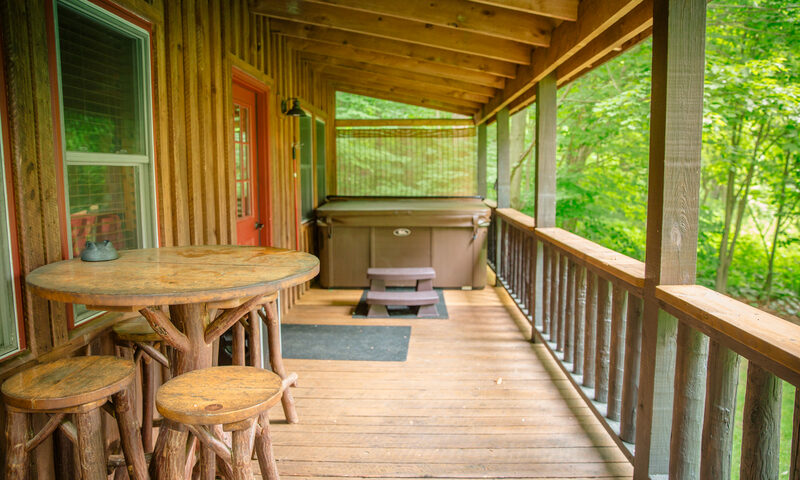 Welcome to the Woodland cabins! 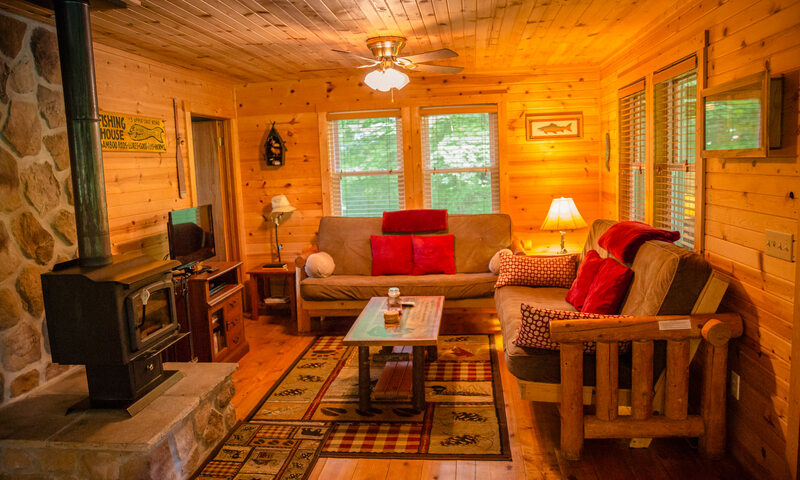 These three cabins are perfect for a romantic couple getaway or a small family looking for a woodland escape. 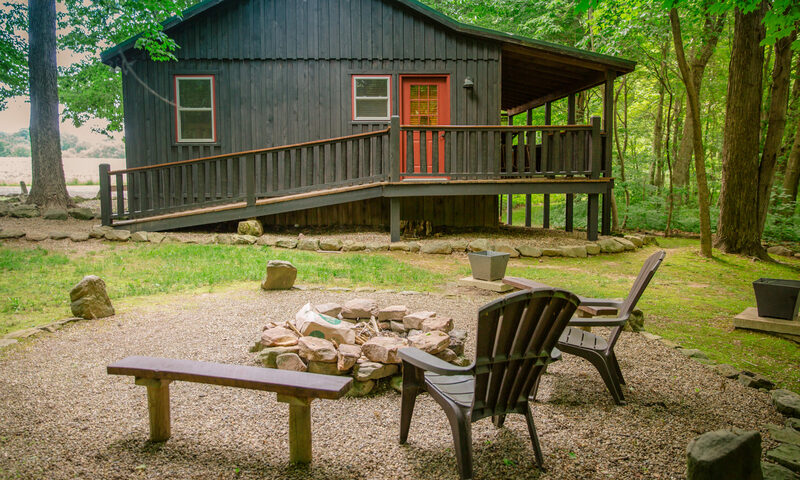 The names of these cabins are Bear Run, Wolf Den, and Big Bass. 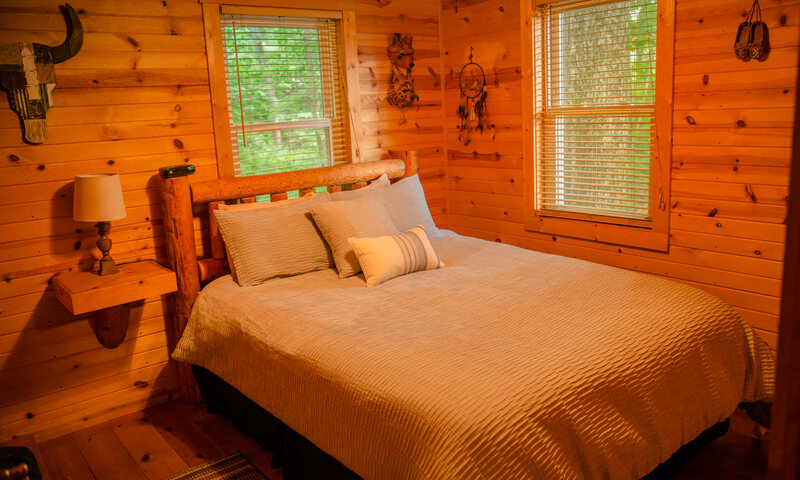 Located in the woods of the property these three cabins sleep up to 6 guests per cabin. 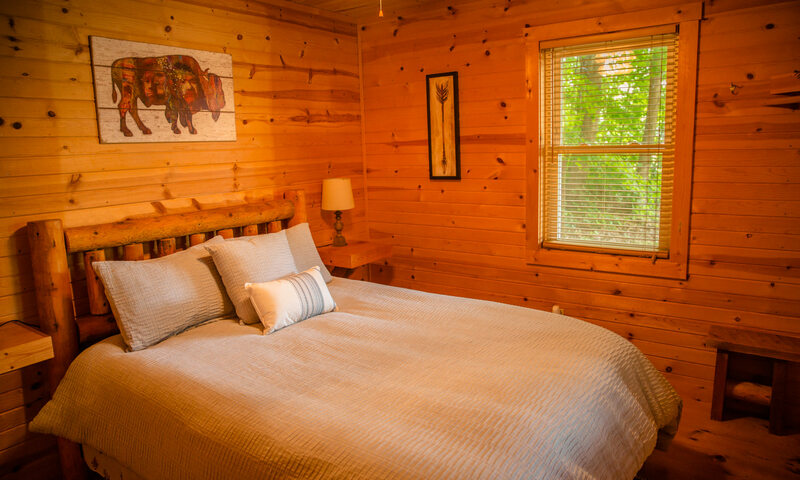 The cabins offer 2 private bedrooms with queen size beds, 1 full bath, and 2-queen size log futon’s in the front room. 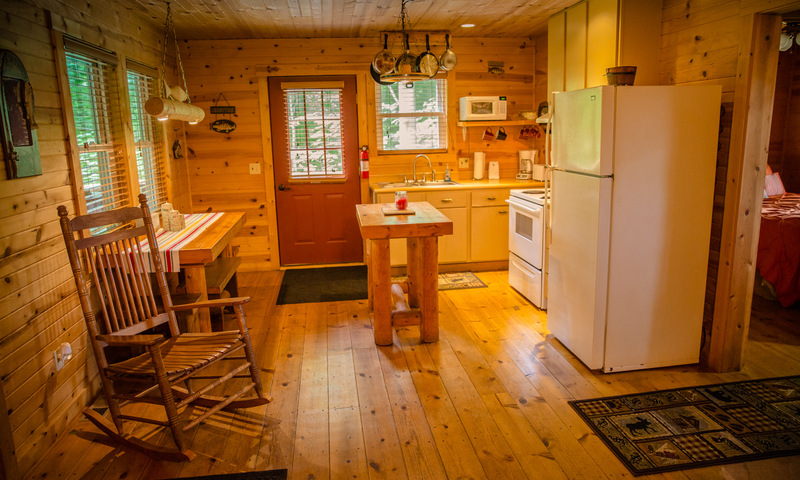 All of the Woodland cabins come equipped with a hot tub, fireplace, TV and DVD player, Direct TV, charcoal grill, central air and heat, fully equipped kitchen, large covered porch, hammock, picnic table, and a fire pit with cooking grate. 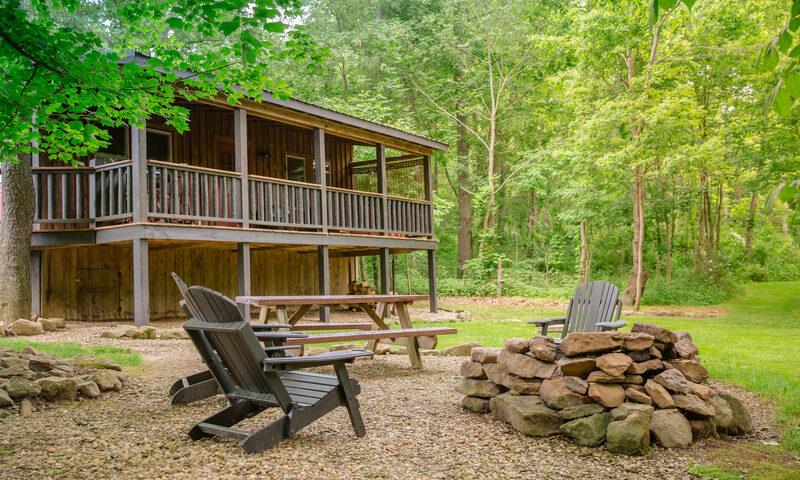 These three cabins have everything you need for the perfect getaway to the country.